A-HOTEL.com - Luxury and cheap accommodation in Nizhniy Atlyan, Russia. 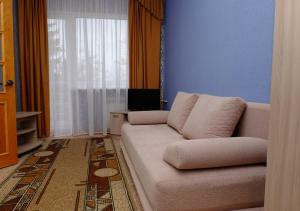 Prices and hotel, apartment booking in Nizhniy Atlyan and surrounding. Located a 10-minute drive of Sun Valley ski resort, Klub Tikhaya Zavod is located in Syrostan and offers free on-site parking. At Klub Tikhaya Zavod you will also find a communal sauna and barbecue facilities. Guest House SKIKROSS is set in Syrostan and offers a garden. The property features mountain views. Offering a sauna and ski lessons Sunny Valley Resort is located in Syrostan Village. Free WiFi access is available. Located in Miass, 9 km from Temple of the Epiphany, Sanatoriy-profilaktoriy Koshkul features accommodation with a garden. Featuring a 24-hour front desk, this property also provides guests with a sun terrace. Situated in Miass, less than 1 km from Temple of the Epiphany, Two rooms apartment near the river provides accommodation with barbecue facilities, free WiFi and a 24-hour front desk. Guests staying at this apartment have access to a fully equipped kitchen. Situated in Miass in the Chelyabinsk region, Apartment on Kolesova has a balcony and river views. The accommodation is 800 metres from the Temple of the Epiphany. Featuring free WiFi throughout the property, Hostel Edelveis offers accommodation in the centre of Miass, a 10-minute walk of Miass Train Station. Guests can cook their own meals at the fully equipped kitchen. Apartments na Kolesova offers accommodation in Miass, 800 metres from Temple of the Epiphany. Guests benefit from a balcony and a barbecue. Featuring barbecue facilities, Апартаменты с видом на лес и речку features accommodation in Miass with free WiFi and mountain views. Boasting a balcony, the apartment is in an area where guests can engage in activities such as skiing and cycling. Located in the centre of Miass, this apartment features free WiFi. There is a dining area and a fully equipped kitchen. Located in Miass, just 1.2 km from Temple of the Epiphany, Апартаменты на Лихачева provides accommodation with free WiFi. Featuring city views, Apartment on Likhacheva 33 features accommodation with a balcony and a kettle, around 1.6 km from Temple of the Epiphany. 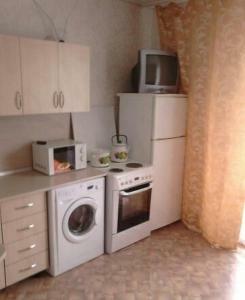 Located 2.7 km from Temple of the Epiphany in Miass, Квартира посуточно offers accommodation with a kitchen. Located in Miass, within 2.7 km of Temple of the Epiphany, Studio on Stepana Razina is an accommodation offering mountain views. Situated 2.7 km from Temple of the Epiphany in Miass, Апартаменты рядом с ж/д вокзалом. Set in Miass, Двухкомнатная квартира улучшенной планировки offers private beach area, free WiFi, a 24-hour front desk, and room service. The property is 2. Featuring accommodation with a balcony, Studio Apartment on Stepana Razina is located in Miass. The property features mountain and city views. Located in Miass in the Chelyabinsk region, Apartments on Akademika Pavlova 41-61 features a balcony and mountain views. Housed in a building dating from 2000, this apartment offers free WiFi.